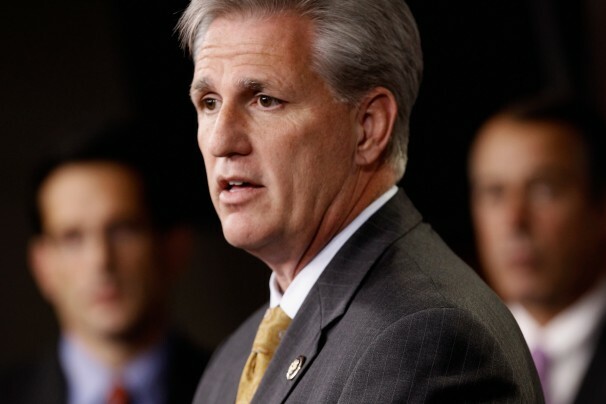 Rep. Kevin McCarthy, R-Bakersfield, gives us his weekly view from Capitol Hill. "As we carry on our fight against Valley Fever, it is important to remember that we are not in this fight alone. Throughout our community, all of us know someone affected by Valley Fever, and their courage in the face of this terrible illness only strengthens our will to combat and eliminate it. "That is why, as we work to finalize the details of our upcoming Valley Fever Symposium, we want to show the courage demonstrated by our friends, family, and neighbors affected by this disease through a public forum so they can share their personal stories and experiences. "On September 23rd, we will hold a kick-off reception to our Valley Fever Symposium at the Kern County Department of Public Health’s Hans Einstein Center. This Valley Fever Survivors Reception will allow our members of our community who have experienced first-hand the effects of Valley Fever to meet and talk with Centers for Disease Control and Prevention Director Thomas Frieden, M.D. and National Institutes of Health Director Francis Collins, M.D. "If you have a story or a personal experience, I encourage everyone to come and share them. It is critical that we continue to shed light on Valley Fever and its impact on all our communities, whether it is in the Central Valley, the Indian Wells Valley, or the Antelope Valley. 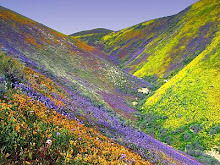 "More details and announcements will follow regarding our Valley Fever Symposium in the coming weeks! "If you are interested in attending the reception, or for more information about the symposium, please send an email to RSVP.McCarthy@mail.house.gov or call my Bakersfield office at 661-327-3611. "Finally, I know my friend and Valley Fever survivor Lori Crown is assisting with another Kern County Honor Flight that is taking our local WWII veterans to Washington, DC this weekend. Follow them on facebook at https://www.facebook.com/HonorFlightKernCounty and welcome all of them home this Saturday at the William M. Thomas Terminal at 8:30pm. * ... MCCARTHY: Expect more protesters pushing immigration reform to descend on the Bakersfield office of House Majority Whip Kevin McCarthy. The latest push comes from a group of Catholic bishops and priests who support immigration reform and have singled out 60 Republican lawmakers to pressure. The New York Times said one group would protest in front of McCarthy's Bakersfield office on Monday, Sept. 2. Just last week another group of several hundred pro immigration reform protesters rallied in front of McCarthy's office. * ... OVERHEARD: How many times do you pick up a conversation when someone is speaking too loudly on their cell phone? Julie Womack shared these nuggets: "One day I heard a man complaining loudly that his testosterone dosage had been prescribed incorrectly! Yesterday I overheard a conversation at least 100 feet away from a woman who was contacted by her security system that her house alarm had gone off. I was able to hear her give the alarm code - several times - to someone, then heard her call the alarm company and give them her name, address, password, and alarm code. I counted at least 20 people around her who were subjected to her personal and security information." * ... 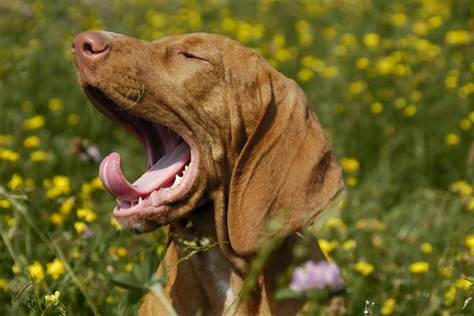 YOUR DOG: A new study is confirming that yawning can indeed be contagious, but did you also know that dogs, too, are contagious yawners? That's the word from The New York Times which reported that researchers looked at "two dozen breeds, from poodles to pit bulls (and) found that when a dog watched either a stranger or its owner yawn, the dog was far more likely to yawn in response to its owner." The study concluded that "dogs are unusually skilled at reading human social and communicative behaviors." * ... TENNIS: If you are looking for a new tennis group, Walt Dunbar says you can join his group at Siemon Park at 8 a.m. every Monday, Wednesday and Friday. Dunbar said it a fun social and exercise group and players come on days that suit them and rotate in and out. Siemon Park is on Pasadena Street just off Columbus. * ... CONCERT: A special concert is planned this Saturday to benefit Garden Pathways. The event will be held at the relatively new Gardens at Mill Creek, a beautiful venue across the street from the Bakersfield Museum of Art. Grant Langston and the Supermodels will be playing. Doors open at 7 p.m. Tickets are $10 and are available at the door or by calling (661) 205-3343. 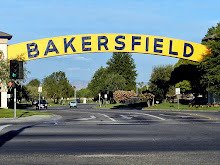 * ... MEMORIES: Some memories of East Bakersfield in the 1950s compliments of Anthony Contreras: "There was a popular neighborhood market on the northwest corner of Baker Street and Bernard called Gene and Joe's Market. One half block east on Bernard Street was PAC, Pioneer Allen Cleaners ( not sure on the spelling of Allen). This was on the northwest side of Jefferson Park where we swam everyday for free. On the east side of Jefferson Park at the southeast corner of Grace Street and Beale Avenue was a small cafe called Hazel's. As I recall, she had great hamburgers and she welcomed all students from Jefferson School across the street. This is when politics were non-existent, nobody locked their doors, children were disciplined to be at least polite and schools were held in high regard. How I miss those days!" conditioning trainer in the athletic department. CSUB Athletic Director Jeff Konya said Beckwith will likely start as a part-time employee. 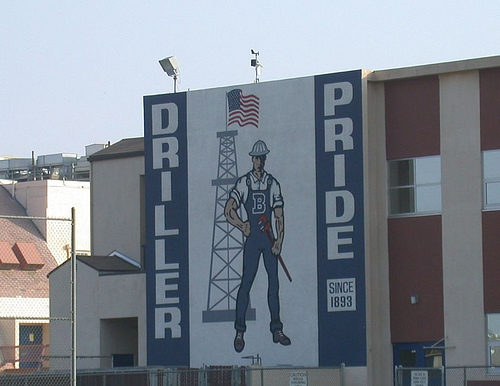 Beckwith was only at Bakersfield College for two years, and many thought he was unfairly painted as the fall guy for program violations that had been going on for many years. * ... TRASH: Some things are just too hard to believe. Consider this note from Patricia Seymour: she was taking a walk down Panorama Drive near Thorner School when she spotted a white pickup with a black trailer pull into an open field. And sure enough, the occupants dumped a full load of trash right in the open field. She called Bakersfield police and the dispatcher insisted she had to witness the incident, which she had. "I realize there are other emergency calls... so we started walking home and at Fairfax we saw three detective cars driving from the north. We figured they had been out practice shooting at Hart Park or to a meeting. I don't know if detectives go out on calls but as I am a multi-tasker and I figured they could have dropped by to at least give warning to these dumpers. The area at the end of Panorama Drive is constantly being dumped on. It's a sad sight when one is trying to exercise and enjoy the great outdoors." * ... MORE TRASH: And speaking of trash, Ken Barnes has been going to Canada to hunt for more than 25 years. "On our 40-mile drive from the airport in Edmonton to the town of Tofield, it would be unusual to see more than three or four pieces of litter along the highway for the entire trip. And they do not use clean-up crews....the people just do not litter!" *... OVERHEARD: On the first day of school, a mother tells her teary-eyed kindergarten daughter that she must go to her class or the school will call the police and her parents will go to prison. * ... 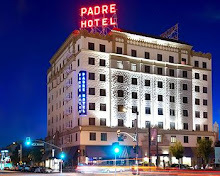 SPOTTED: Having a bite to eat at The Padre Hotel bar the other day were Supervisor Leticia Perez, fresh off her loss in the 16th state Senate district runoff, and Roy Ashburn, who also is recovering from his loss in a supervisor's race. * ... CALAHAN: Former KGET reporter Tim Calahan is back in the business, joining KERO TV as a breaking news reporter in the afternoon and the 11 p.m. co-anchor along with Jackie Parks. Calahan had most recently been with the Kern County Mission. * ... MEMORIES: A walk down memory lane with Gene Bonas on the old Andre's Drive-in. "The Andre family ran both Andre's Drive-Ins and the Garces High School cafeteria. Mary Andre managed the Niles Street Andre's, Joe managed the Brundage Lane Andre's, and John managed the Garces cafeteria and filled in when Mary or Joe needed time off... My memory of Andre's on Brundage had to do with two Garces students who worked at the restaurant. A close friend of mine ran the grill ensuring all the food was cooked to perfection. I can still taste the hamburgers and fries that (my friend) made and snuck to me out the back door without anyone's knowledge." complete with privacy screen and kitty litter, in case the school is placed on lock down and students end up spending hours in a classroom unable to leave. As one high school teacher joked: "I told them I wasn't holding the toilet paper if anyone has to use it!" * ... KINDNESS: Harriet Russell was touched by the kindness of strangers the other day when she flatted on Coffee Road and pulled into the Trader Joe's parking lot. She ended up at Hoggz surf shop, where two young employees offered her a chair and allowed her to use their phone. "Lewis Towing arrived and had my tire fixed in less than an hour (more great service and another nice young man). Several people in the parking lot told me they were sorry I flatted, and one gentleman asked if I was all right. When I got home the next door neighbor brought over a bag of delicious grapes. 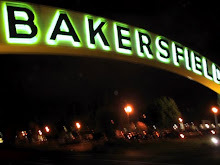 There are some very, very nice people in Bakersfield." * ... MORE KINDNESS: And it doesn't end there. Another reader, Mariann Chavez, was with a co-woker buying backbacks and school supplies at Big Lots! on Wilson Road when a woman in line asked if they were teachers. No, they said, just two women pitching in to help the kids at the Homeless Center. "That most precious and gracious woman handed us $40 and said she would like to help. We were almost speechless, but did manage to thank her several times as she checked out and left the store. Needless to say we spent that extra money and now our backpacks are a bit fuller thanks to her generosity." * ... WREATHS: The Breakfast Rotary Club is gearing up for its annual 'Wreaths Across America' program. The idea: place wreaths at every grave at the Bakersfield National Cemetery. Adoree Robinson told me the program is one of only three in the country. Mark your calendar for December 14. * ... STOCKDALE: The third annual Stockdale Stampede 5 kilometer walk and run is set for Saturday, Sept. 14. Sponsored by Stockdale High School, the event starts at 8:30 a.m. at Riverwalk Park. You can download a registration form at www.bakersfieldtrackclub.com. The pre race registration fee is $25 and $30 the day of the event. The event raises money for local scholarships. * ... MEMORIES: Michael Mcglasson wrote to join those who remember the old AW drive in, but placed it on Oak and Bank street instead of Chester Lane.